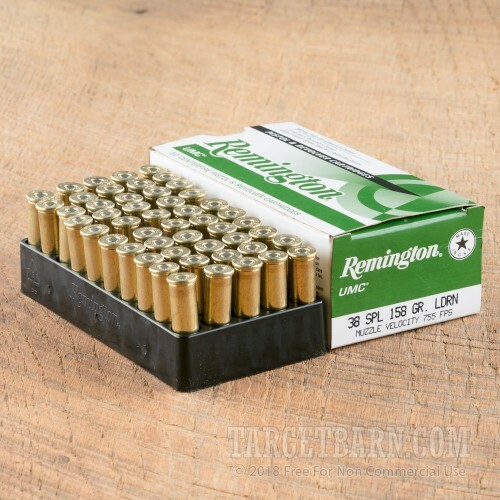 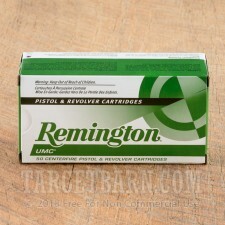 Outdoor target shooters will enjoy the good accuracy and low cost of this .38 Special ammunition from Remington UMC. 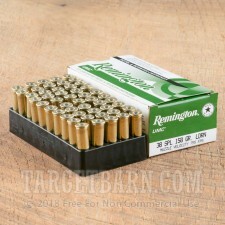 Like all .38 Special ammo, these cartridges can be fired safely in both .38 SPL and .357 Magnum revolvers. Each round in this box of 50 fires a heavy 158 grain lead round nose bullet at 755 feet per second. 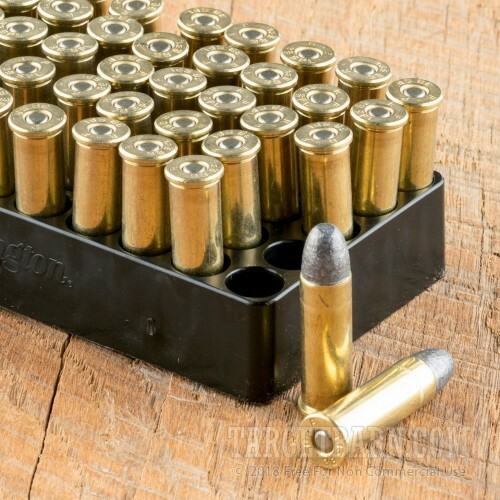 Note that many indoor ranges do not allow the use of unjacketed bullets at their facilities. 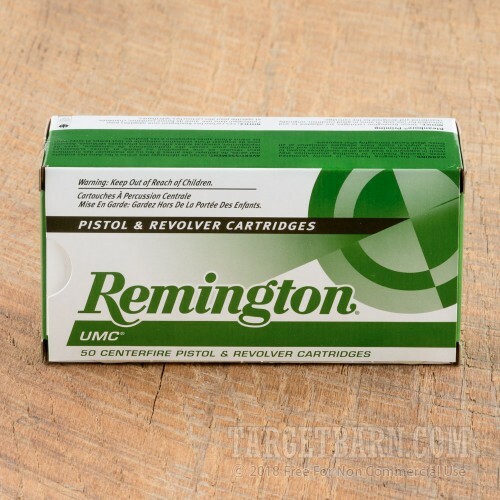 Remington UMC ammo is loaded in Lonoke, Arkansas using non-corrosive primers and brass cases.